The New York Times has teamed up with Samsung to launch a new first-of-its-kind visual digital journalism project called The Daily 360. Produced by The Times newsroom, using Gear 360 cameras and equipment provided by Samsung, a new video will be shared daily that lets viewers see the news from all angles while the journalists are reporting on the field. Starting November 1, The Daily 360 videos will be shared on the Times platforms, including NYTimes.com and its mobile and VR apps, as well as on Samsung VR. This is the first attempt at daily 360 degree reporting from a major national publication. 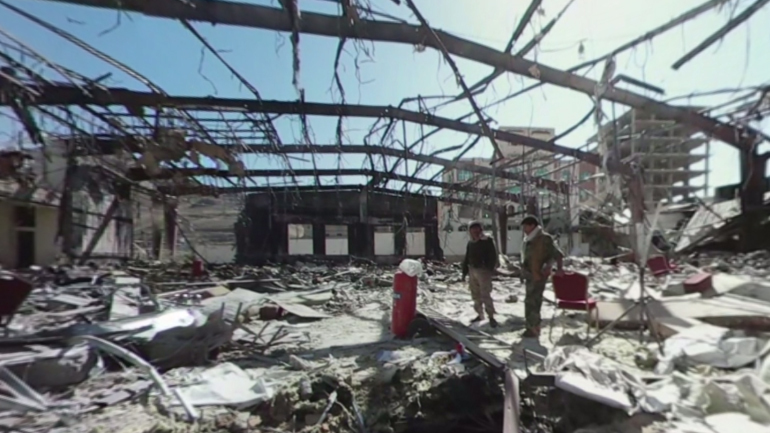 The first video in the series is titled “In the Rubble of an Airstrike in Yemen” and offers a rare glimpse inside war-torn Yemen. The footage, shot by Pulitzer Prize-winning photographer Tyler Hicks and the reporter Ben Hubbard, allows you to look up, down, left and right, with no headset needed. On Thursday, November 10, The Times and Samsung will have a special event in New York where a panel, including Times journalists Sam Dolnick, Lisa Tobin, executive producer for audio, and Marcelle Hopkins, executive producer for 360 news, will discuss the future of news.